Car parking 3D sport car is an unique car simulator game. 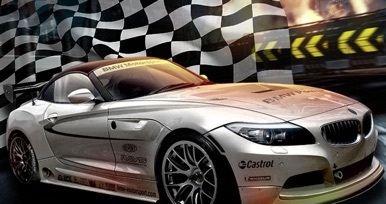 If you love driving fast, love racing around in different sport cars? Are you a fan of sport cars and do you ever dreamed of driving around in this type of car? With 3D sport car parking you get the chance to do so. 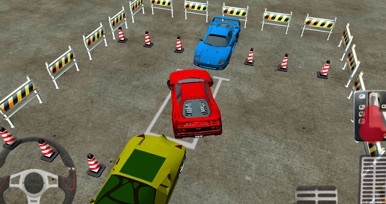 The goal of this cool and new 3D parking game is to drive you sport car as fast as possible to the marked position on the parking lot, train yourself with loads of different game simulations so your parking skill will go up . 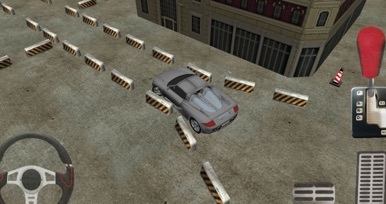 This game will simulates various necessary parking skills. So everyone knows you are a real skilled driver with this 3D parking game. With a collection of 20 different parking levels this super cool parking game can be really hard sometimes. The 3D view gives you a unique perspective of your cars position. There is even a optic angle available to take a look from the inside. From the driver’s view you can make the most difficult move with precision driving skills. Parking takes skills with the realistic car driving physics, you will learn the ropes of precision driving and parking with Car parking 3D sport car. The game will become harder and harder as you progressively go through the levels in this fun and challenging parking game. Control your car with an steering wheel, acceleration and brake pedals. Shift the gear to forward or backward as you need.We hope you will have fun and will enjoy or newest parking simulator game from VasoGames. Play vehicle Parking 3D now for free!